From The American Spectator. September 30, 2007. Two giants of the art house cinema, Ingmar Bergman and Michelangelo Antonioni, died on the same day this summer, and the tributes to both men stressed — as I suppose was natural — all that set them apart from their fellow toilers in the celluloid vineyards of the mid 20th century and raised them to a stature rivaled only by their near-contemporaries, Akira Kurosawa (d. 1998) and Federico Fellini (d. 1993). But the most lasting legacy of these four men is less likely to reside in their films, which range in quality from the dire Marxist agit-prop of Antonioni’s Zabriskie Point (1970) to Bergman’s sublime Fanny and Alexander (1982), than it is for another and accidental accomplishment. Generations from now these will be remembered as the men who ruined the movies. Up until their time, film — as we have since learned to call it — was still a medium of popular entertainment. Most movies were trash but many were highly enjoyable trash. Some of the best, such as the sophisticated comedies of Ernst Lubitsch or Jean Renoir, or the westerns of John Ford, rose to the level of serious art. But the great post-war directors including Bergman and Antonioni did to the movies what Picasso and Matisse had done a generation earlier to painting. They made the artist the hero of his own creation. Once that fatal step was taken, however great individual works of art might still be, a whole language of artistic expression was corrupted by self-consciousness. Thereafter, every second and third-rate artist or director felt he had a license to become a little imitation Picasso or Bergman. A vital link between the movies and reality outside themselves had been broken. Even if they didn’t know what it was, these great revolutionary directors believed passionately in that reality — perhaps the more passionately because they didn’t know what it was. It haunts them all like the absent God in Bergman or the elusive image of a murder-victim in the corner of a photograph in Antonioni’s Blow-Up (1966). But the would-be artists and "poets" of the cinema who came after them and who were inspired by their example had a very different view. For them, detachment from reality seemed like a liberation and they embraced it rather than lamenting it. The result was the nihilism of a Spielberg or a Lucas, film-makers who abandoned the artistic pretensions of their models and reverted to being entertainers but who were as devoted as the masters to style and technique over anything inherently interesting about their subjects. Like the post-war giants, such directors were the heroes of their own pictures, but they were comic rather than tragic heroes — "comic" not only in being light-hearted and flippant towards their material but also in the sense of the comic books from which they took so much of their style and world-view. Without this contempt for reality they could not have become the creators of that seemingly endless procession of superheroes and other fantasy figures — what, will the line stretch out to the crack of doom? — of which Harry Potter is only the latest to dominate the imaginative lives of our children. And the worst of the plague of superheroes is that they are both cause and consequence of the absence from our screens of real heroes. Children who know only superheroes will find real heroes boring or incomprehensible, and when they come to maturity, if they ever do, it will be without the formerly natural habit of wishing to emulate their heroes. How do you emulate Harry Potter? True, we still have the victim hero or anti-hero, modernism’s darling, but he’s not much use either if it’s the real hero who is in demand, as he always is. Nor is it just self-conscious cinematic artists and their blockbusting heirs who have killed off the hero. Egalitarian and utopian tendencies in the wider culture have made it embarrassed by heroism and have conspired with self-obsessed film-makers to make unreality of one kind or another — most often in the form of super-powers or a mastery of fantastical and omnicompetent technology — almost the condition of the hero’s continued existence. During the summer of the death of Bergman and Antonioni, I presented at the Ethics and Public Policy Center in Washington an eight-film series titled The American Movie Hero, the point of which was to attempt to trace this gradual progression, during the 40 years from 1941 to 1981, from an American popular cinema of heroes and heroism to one of mere fantasy. 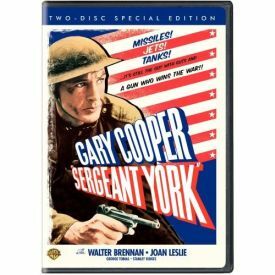 The series opened with Sergeant York (1941) starring Gary Cooper and directed by Howard Hawks. He was the first of what I called the "virtuous heroes" who were still the norm in American movies up until the 1960s. Other examples were John Wayne in The Sands of Iwo Jima (1949), Cooper again in High Noon (1952) and Wayne again in The Searchers (1956). Only Sergeant York among these was "virtuous" in the usual sense of morally well-behaved, and even he had to go through a prolonged period of sowing his wild oats first before his religious conversion. But all four heroes were virtuous in the etymological sense of the term. That is they were men (Latin viri), and men who were prepared to sacrifice their ease, their desires, their happiness and even their lives in order that they might fulfill the imperatives of manhood as they saw them, which was also how many generations before them had seen them. They knew as their audiences knew and without being told that leading men into battle, standing up bravely before the enemy, not backing down from a fight, seeking justice even when it is indistinguishable from revenge and hanging in there when anyone who was not a hero would have quit are inherently admirable things. Each of these heroes, in however attenuated a fashion, was seen in addition as fighting on behalf a community, a civil order or civilization which it was part of the film’s purpose to represent to us as in some sense our own. In Sergeant York, this community is most richly present in the two-thirds of the film devoted to Alvin York’s young manhood in the small Tennessee town of Pall Mall, but it also appears as the country whose claims on him he must learn to treat as separate from God’s and equally compelling. In The Sands of Iwo Jima, the home front has a much more shadowy presence, while the main communal entity is the United States Marine Corps. In High Noon, the community shows itself to be unworthy of the risks and the sacrifice undertaken by Gary Cooper’s Marshal Will Kane, though he undertakes them anyway. Only Katy Jurado’s Helen, the woman he has scorned, sees that if he dies, the town dies with him. 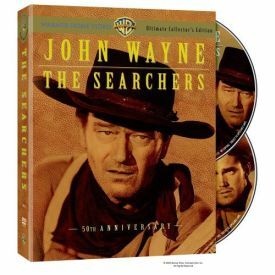 In The Searchers, this theme of the isolation of the hero from the community he serves is taken still further. John Wayne’s Ethan Edwards, like Marshal Kane, seems motivated only by his own sense of honor — in his case to find the niece kidnapped by Comanches. Yet Ford subtly fills in behind him the picture of the community he is estranged from whose standards of civilization and sexual continence he nevertheless represents in his private battle against the savagery of the Indians. The next three films in the series, Hawks’s The Big Sleep (1946) with Humphrey Bogart, Sergio Leone’s Fistful of Dollars (1964) with Clint Eastwood and Peter Yates’s Bullitt (1968) with Steve McQueen were meant to illustrate what I called the cool hero. He took his cue from Marshal Kane and Ethan Edwards in being isolated from his community, but he differed from them in representing not primarily the act of will and nerve that it takes to rise to heroic stature but the extraordinary powers of intellect, instinct or fighting prowess he has been blessed with by nature. We cannot hope to emulate these qualities in the way that we can the courage, grit and determination of the virtuous hero, and this means that the cool hero takes us out of the film as vicarious participants in what we see and stresses our status as mere observers. Though still a real hero, the cool hero prepares the way for the cartoon hero of Lucas and Spielberg, whose Raiders of the Lost Ark (1981) ended the series by pointing to the bleak heroic landscape to come. 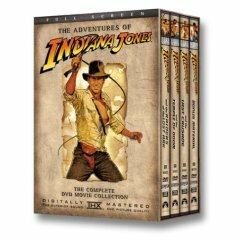 You might not think that there was any connection between the tortured musings of a Bergman or an Antonioni and the comic-book derring-do of Indiana Jones, but both are the product of the last century’s farewell — regretful in the case of the artistes and gleeful in the case of the entertainers — to cinematic reality. There may be another link as well. In one of the obituaries of Bergman, he was quoted thus: "I usually say I left puberty at 58." That’s better, I guess, than the devotees of the cartoon hero, who seem never to want to leave puberty at all. But whatever there may be to regret for Swedes or Italians in allowing their children to remain children all their lives, there are much more serious consequences for all of us when the children belong to the nation on whom the duty of defending Christianity and enlightened secular civilization has devolved.